Wondering what types of lilies to plant in the garden? No need to look further. Here’s some common and less common lily genera that grow almost anywhere. Fawn lilies (Erythronium genus) rank among the most popular species of spring blooming lilies. Most of the two dozen or so native species grow in the West, however a couple of species grow elsewhere in the United States. They can grow in full sun or partial shade areas of the yard and garden. Equally important, consumers can choose bulbs that produce a variety of petal colors ranging in shades of pink, white and yellow. 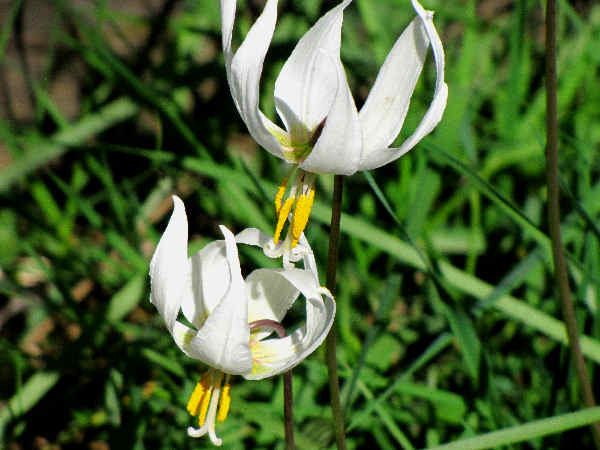 The picture at the top of the page shows a white fawn lily. As a bonus, planting fawn lilies means worry free, safe flowers. The edible bulbs were favored by Native Americans. The name fawn lily refers to the plant’s appeal as food to local wildlife. Tiger lilies continue to rank at the top of the list of favorite types of garden lilies. Bulbs are available at many retail outlets, with species adapted to most garden zones in the 3-9 range. The Columbia Lily (Lilium columbianum) pictured, is a very nice orange late spring bloomer. It’s one of approximately two dozen native species documented. 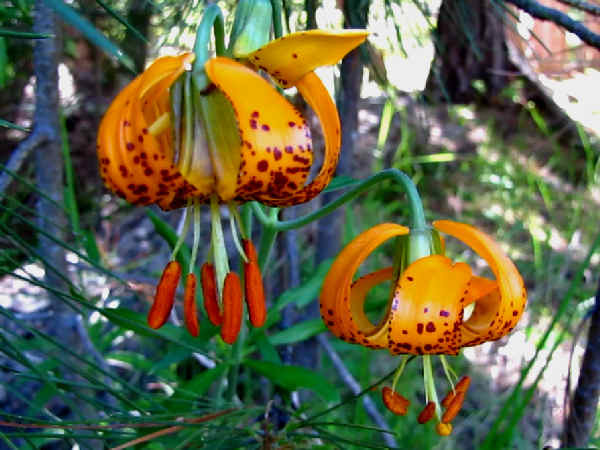 Often they go by the common name Tiger Lily, due largely to the presence of spotted, colorful, reflexed flowers that nod in the breeze..
Nurseries also sell varieties of what is formally called Llium tigrinum. Those are the native lilies from eastern Asian that have been hybridized and now introduced into gardens around the world. The Washington Lily or Cascade Lily is a favorite Lilium species in Western gardens. The plant grows up to four feet in height and produces nice looking white petals with purple spots. It was named in honor of the first First Lady of the United States, Martha Washington. And it grows naturally in the Cascade Range of Washington and Oregon. A few plants have also been discovered in the northern ranges of California. 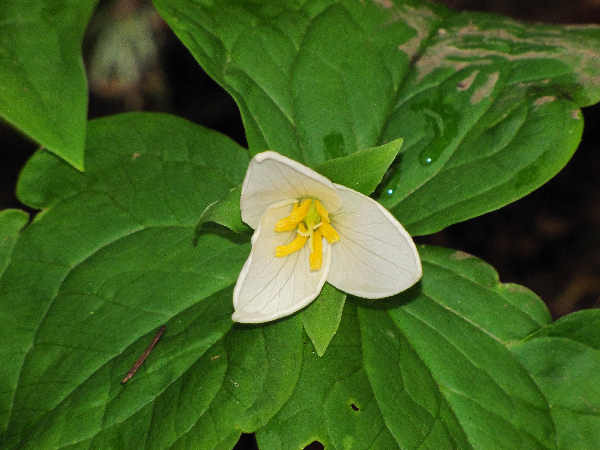 Home owners with small wood lots often consider trillium as both a perfect lily for shaded gardens as well as nice ground cover. They are best known as spring bloomers, although at higher altitudes they can bloom in early summer. 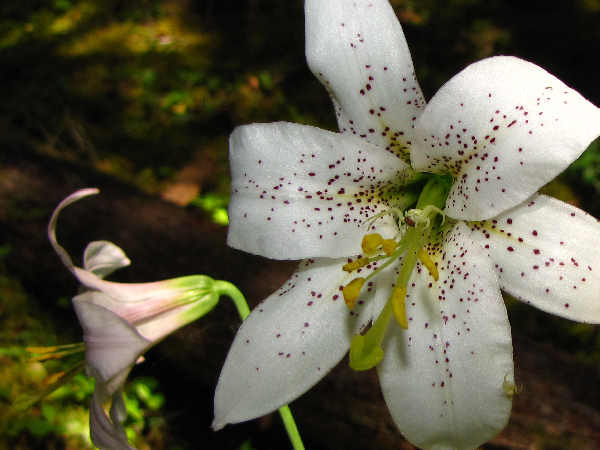 Many lily genera limit their range to certain areas of the United States. Close to five dozen different Mariposa Lilies (Calochortus) grow bountifully throughout the Western United States. Perhaps two dozen of those grow endemically in California. 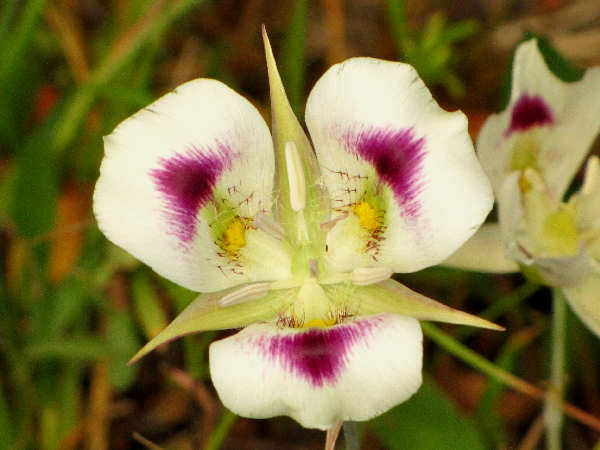 Such a large number of species means that the Mariposa Lily enthusiast could spend years organizing travel plans to include a day to search for, and photograph local species. Their abundance also translated into their being popular types of lilies for any garden. The Sego Lily (Calochortus nuttallii) represents the people of Utah as the official state flower. A quick look a a few species explains their popularity. 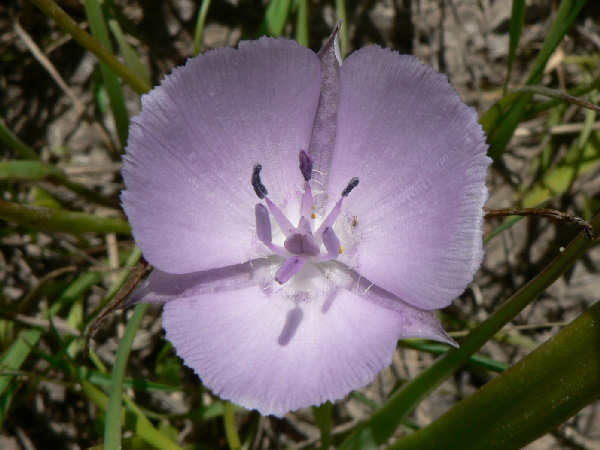 The small, purple to pink petal, Monterey Mariposa Lily (Calochortus uniflorus), blooms in the lowlands and wetlands of the coastal areas from Central Oregon to Central California. The leaves slightly resemble blades of grass and the flower grows so close to the ground that it could remain hidden in meadows with overgrown grass. It’s known as an easy growing species, and its natural habitat of lowland, grassy meadows, makes it a good garden choice for areas with mild winters and wet spring seasons. 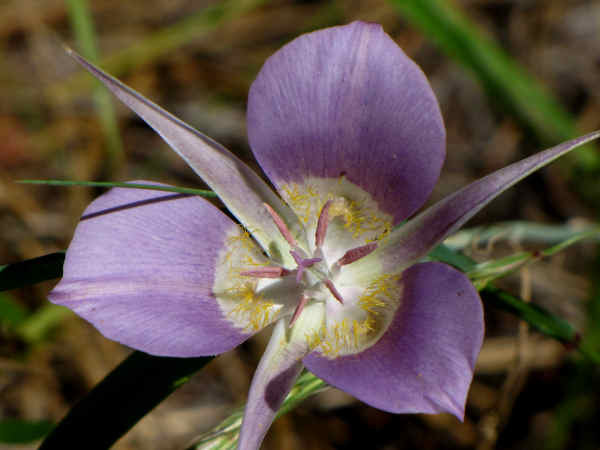 The Green-banded Mariposa Lily (Calochortus macrocarpus), also known as the Sagebrush lily, suggests the flower’s preferred habitat, dry, sunny, higher elevation areas. Flower color ranges from a lighter lavender to the darker shade of purple shown in the picture. A green band, or stripe, is visible on the back side of the petals. Calochortus eurycarpus, or the Big-pod Mariposa Lily or White Mariposa Lily, grow in subalpine meadows throughout the west (Idaho, Montana, Nevada, Oregon, Utah, Washington and Wyoming). Petal color shifts from white to purple as the flower ages. All the flowers show the characteristic purple spotted petals with yellow at the petal base. Their affinity for alpine living makes them a less than ideal candidate for the average domestic garden. 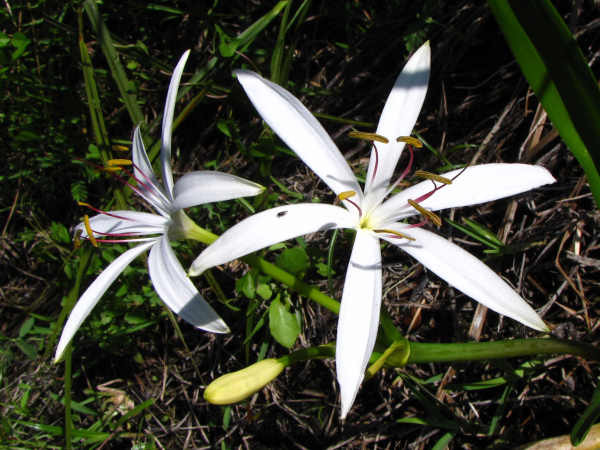 Swamp Lilies grow naturally in Southeast wetland areas. Homeowners with similar yards can also purchase them commercially. They come in a few shared of pink and white color petals. The bell shaped flowers of many Fritillaria, a genus of flowering plants in the Lily family make many native species popular garden choices. Across the west, also nothing says types of lilies like the approximately two dozen different native fritillaria species. Their beauty consistenly gets complimented in the garden and in the wild. “Two liliaceous plants in particular, Erythronium grandiflorum and Fritillaria pudica, are marvelously beautiful and abundant. Never before, in all my walks, have I met so glorious a throng of these fine showy liliaceous plants. The whole mountain-side was aglow with them, from a height of fifty-five hundred feet to the very edge of the snow. John Muir Steep Trails 1918. Yellow Bells (Fritillaria pudica) or the Yellow Fritillary, could not possibly get a better botanical review. Their emergence each spring elicits a similar joy in all who spot them. 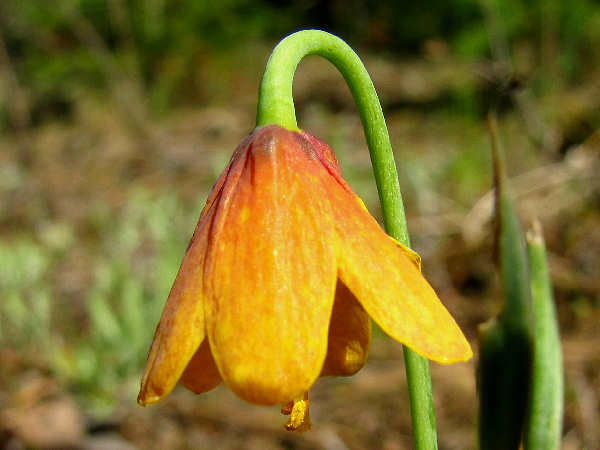 Along with the Spotted Fritillary, Yellow Bells range throughout most of the West. They are fairly adaptable, growing on mountain sides, sagebrush settings and grasslands. Their adaptability makes them a good garden choice for most areas. 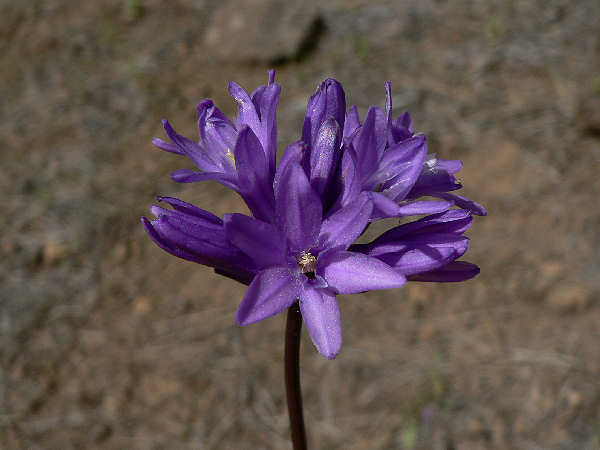 Another regional specialty, one-half dozen snakelilies (Dichelostemma) also grow in the Western United States. Known by common names such as ookow, they begin blooming early in spring and have become adapted to garden life. The picture shows the purple flowers of the most common variety. They need full sun. Gardeners interested in a little more garden pizzazz might want to consider the firecracker plant. It’s a northwest native that produces clusters of red and white tubular flowers. They attract hummingbirds and butterflies.